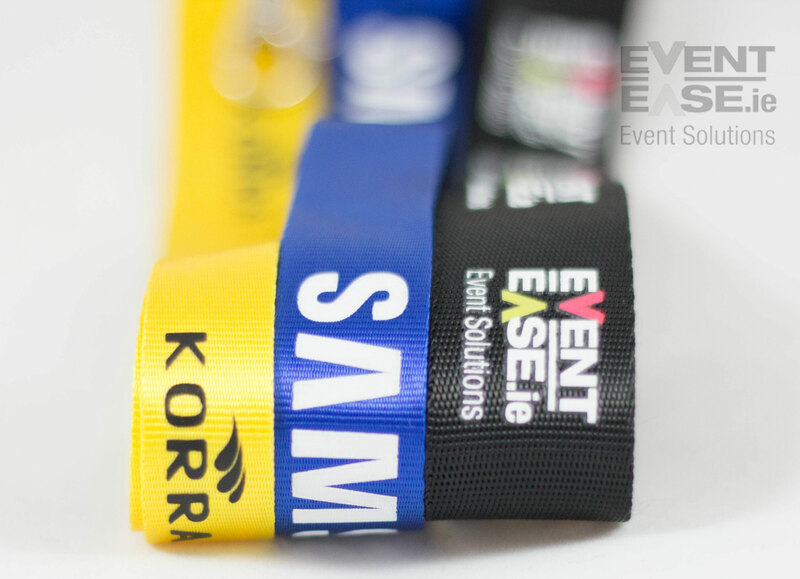 EventEase Print Lanyards are our cheapest option for events of all types. Your logo or message is imprinted onto quality custom lanyards using a silk-screen process. We can print one or both sides of your lanyard in a variety of colours or just one colour on one side if you choose. 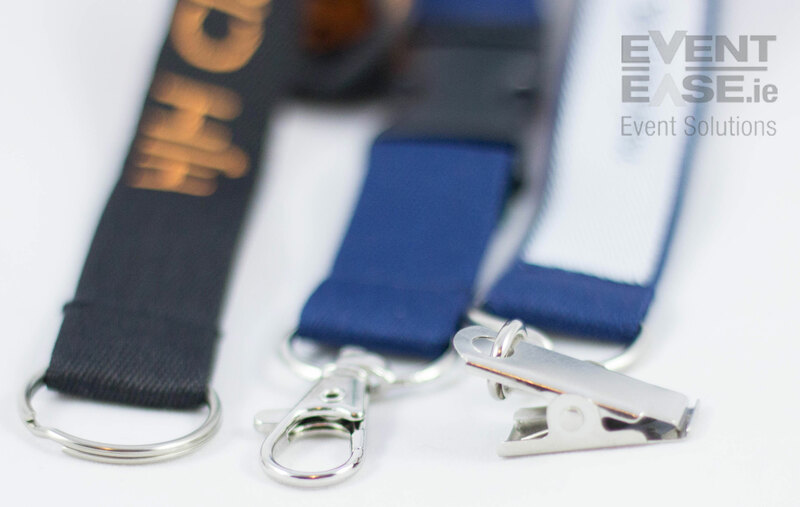 All EventEase print lanyards can be supplied with safety or middle breaks. We also supply a number of diferent clips and attachments including mobile phone attachments, lanyard snap clips and swivel lanyard clips. 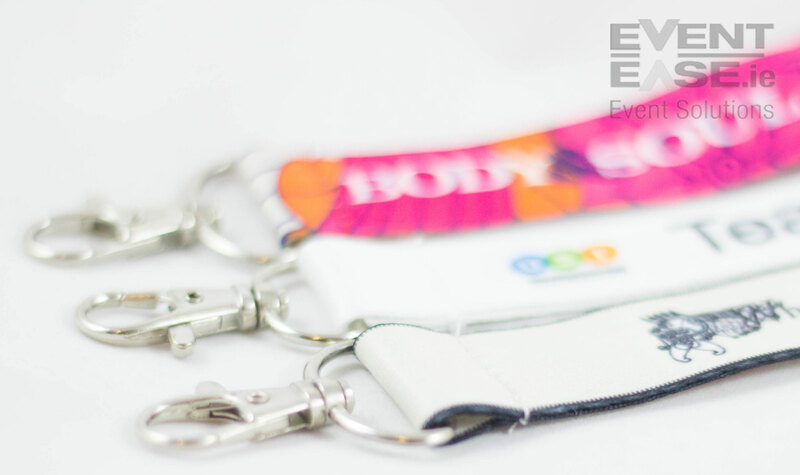 Eventease’s dye sublimation lanyards are printed in full colour according to your design. Our dye sublimation lanyards are perfect for full colour designs and we can print photo quality with amazing sharpness and detail. The dye sublimation process is achieved through dyeing the lanyard which achieves a long lasting effect. Perfect for festivals, conferences, events and concerts..
Heat transfer lanyards are perfect for very intricate designs with full colour available. 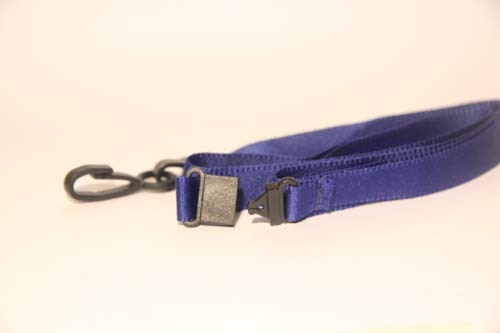 The heat transfer process achieves a remarkable colour quality to your lanyard. Woven Lanyards are suitable for basic designs (up to 8 colours) as the design is stitched into the lanyard. Precise weaving of intricate details like logos are achievable with eye catching results and provide for a long lasting effect..
We always have plain Lanyards in stock in various colours including: 10mm Bootlace type with safety break and dog clip and 15mm satin with safety break with plastic clip.